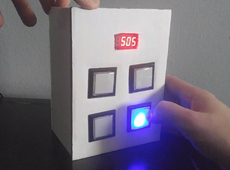 Visual, real-time, agent based programming for Arduino. Now available for Windows, Mac, and Linux. Embrio is a different kind of visual programming environment which doesn’t try to mimic traditional programming, instead you create your program out of multiple “agents” which each have one job and all run at the same time in parallel. Agents attach to each other, activating and suppressing other agents similar to neurons in a brain. Agents are implemented by adding and connecting visual nodes, and you can write your own custom nodes giving you the full power of traditional coding wrapped in an easy to use graphical interface. Work with a live connection to your Arduino to get real time feedback and interaction, avoiding the cumbersome compile, upload, and test loop of traditional programming. An agent is a little piece of a program that has one job. Agents connect to and turn on and off other agents. An Embrio program is made up of multiple agents running in parallel. Work with a live connection to your Arduino, see how your program works as you build it! 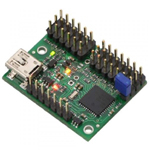 See the list of compatible boards. 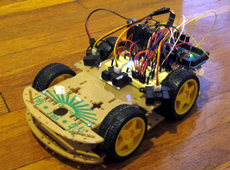 When your program is done it can be compiled to run entirely on your Arduino! The profiler tool gives you accurate resource usage information while you work. Download Embrio now for Windows, Mac, or Linux to try it out. Without a license you can work in connected mode as much as you want, you only need to compile a program when your project is done and you want to run the Arduino disconnected from your computer. 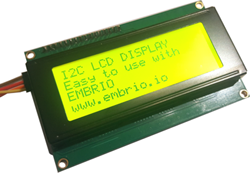 If you find Embrio useful please support its development by getting a license which allows you to upload your programs to an Arduino to run detached from your computer. IR Distance Sensor - This video shows how to use a value lag and transform number node to clean up a noisy input signal. 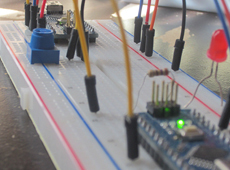 Arduino to Arduino with I2C - This tutorial shows how to communicate between Embrio programs running on different Arduinos. It does this with custom Arduino nodes that use I2C via the Wire library. Embrio is in active development. Sign up to get notifications on software updates and new tutorials and example projects. Fixed a compile bug when there were multiple instances of a node with an IO set with connected inputs. !!!!!! IMPORTANT !!!!!! Please do a full uninstall and reinstall of the new version, the update effects files that cannot be updated by the updater program !!!!!! IMPORTANT !!!!!! Better performance and easier install on Mac and Linux. Press Control + D to duplicated the selected nodes and move the new copy to the mouse cursor. Node selection outline is a pixel bigger making it much more noticeable. This project shows the entire process of programming a Simon style memory game using agents. The video is fairly long, but goes in full detail how to create a program like this using Agent Based programming. The video starts with a quick explanation of how the physical box was made, but most of it goes over creating the entire project from start to finish. Fixed a bug on Linux where only one plus sign could be in a code definition. 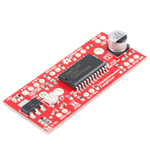 This node lets you control a stepper motor, like the Nema 17 Bipolar Stepper Motor, with the EasyDriver - Stepper Motor Driver. 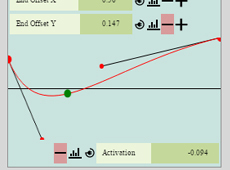 The bezier curve node lets you convert a linear input to a curved output. It is especially useful for working with physical devices that have a non linear response, or adding ease in and out throughout a project for a more natural look. 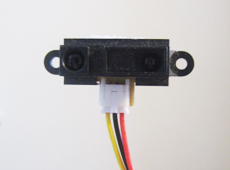 This node works with any standard I2C 20x4 LCD module. This node lets you control a bunch of servos with the Pololu Maestro family of servo control boards using the maestro-arduino library. A servo control board is great because it moves all of the hardware and software resources needed to control servo motors off of the Arduino and only takes up 2 pins to control a large number of servos. The board creates the smooth PWM signals needed to run the servos. You can also use these boards to control anything that's controlled by a PWM signal like LEDs. 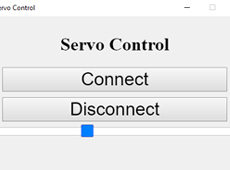 This tutorial shows how to control a Servo with an Arduino via a user interface running on a PC, connected by a serial cable. The project contains two controllers, one to run on the Arduino, and one to run on the PC with a UI made with HTML, CSS, and jQuery. The two controllers communicate with built in serial communication nodes.